Men and women who experience exhaustion or insomnia can benefit from Yerba Mate. As an anti-inflammatory herb, Yerba Mate minimizes fatigue by stabilizing the production of neurotransmitters and improving SAM-r and Acetyl-L-Carnitine levels for better sleep patterns. Read the full article, Alleviate Chronic Masturbation Fatigue with Yerba Mate. 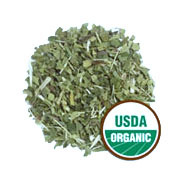 Yerba Mate Leaf Cut & Sifted Organic is shipped in a discrete, unmarked package. Orders are processed immediately and usually take about 3 to 5 working days to be received. We do ask that you try it for 2 to 3 weeks to feel the full effects. Any information received is used only for order processing and shipping purposes. Your information, such as e-mail address, will never be disclosed to a third party.